The electric power industry is not only an important part in the Chinese economic system but also the key industry with the highest emissions of air pollutants in China. 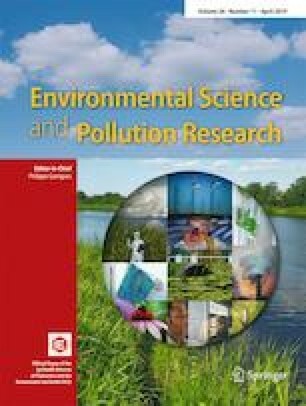 This paper aims to control the pollution emissions of the Chinese electric power industry and enhance its electric-generation capacity though pollution-emission allocation patterns and inefficiency elimination. The data envelopment analysis centralized allocation model (DEA-CA) under metafrontier framework is adopted to distribute pollution emissions and electric-generation capacity considering technological heterogeneity at regional and national levels. The empirical result shows that the emission reduction responsibility is directly proportional to regional power generation performance. The metafrontier framework allocates emission permits to combine the national and regional, which makes the adjustment of each province more reasonable. At last, the relationship between the aggregate optimal electricity capacity and the pollution emission control coefficient is shown to follow an inverted U-shape curve, which implies that a modest emission control policy might be more appropriate for the electric power industry to achieve the joint optimizing goal of electricity generation enhancement and pollution emission control. This work is supported by the National Nature Science Foundation of China (71501098, 71603135, 71774080, 71573186, 71813003), China Postdoctoral Science Foundation Funded Project (2016M590453, 2018T110501), Science Foundation of Ministry of Education of China (17YJC630205), and Fundamental Research Funds for the Central Universities (3082018NR2018011, NE2017005, NW2018002,).